J. A. COLLIE, M. D.
GEORGE DOCK, M. D., PRES. 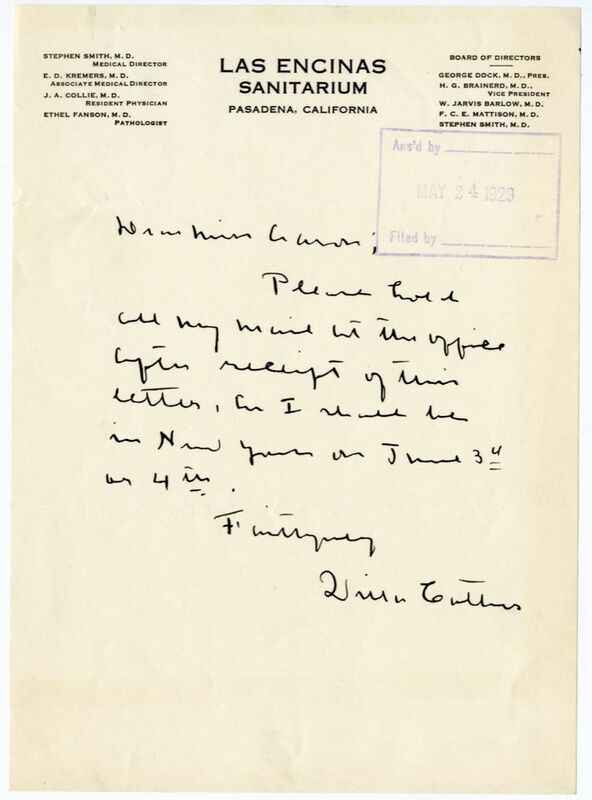 W. JARVIS BARLOW, M. D.
F. C. E. MATTISON, M. D.
Please hold all my mail at the office after receipt of this letter, as I shall be in New York4 on June 3d or 4th.